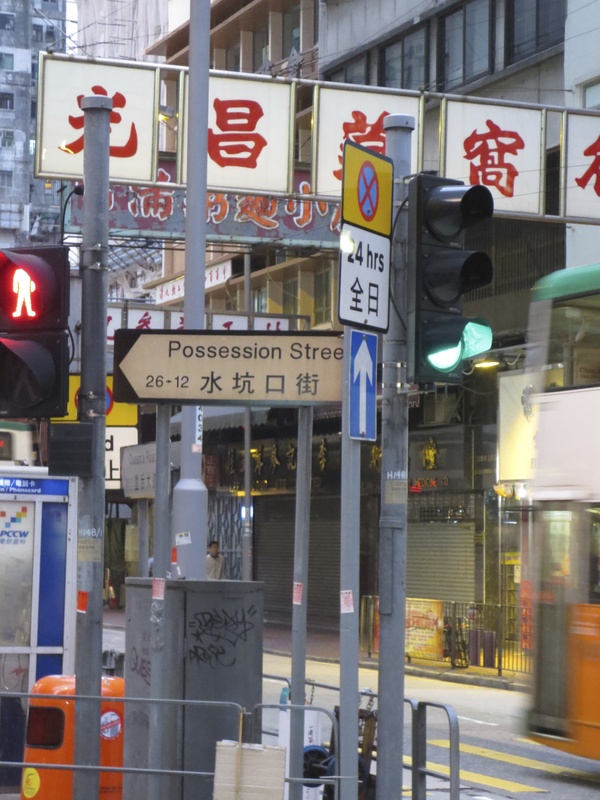 Last weekend we explored a bit around Sheung Wan, on Hong Kong Island. Sheung Wan is one of the old neighborhoods of Hong Kong Island. While the British were developing Central (just east of Sheung Wan), the Chinese population of 19th-century HK were developing Sheung Wan. Here’s a little map for you. One of the especially dramatic sights in Sheung Wan is Man Mo Temple (文武廟), one of the earliest temples that still stands in Hong Kong. Look, I took some photos. 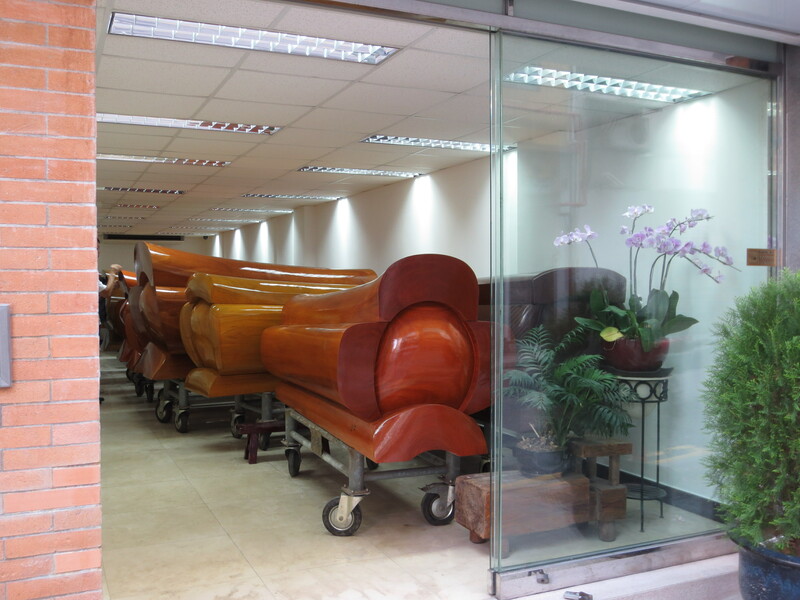 Nearby, on Square Street, is a street-level funeral home and casket showroom, wherein you can see these elaborate samples. It’s a little unnerving to walk by this place while on a relaxing weekend stroll.